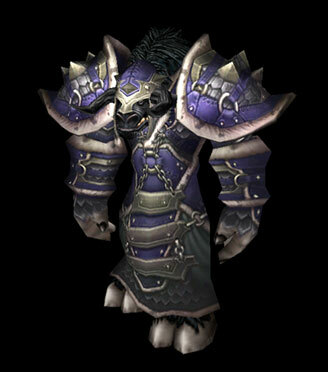 Races: Tauren, Troll, Orc or Draenei. The shaman class is one of the few hybrid classes in the game (the others being druid and paladin), which simply means that they have the ability to fit into more than one role seemlessly, a true "Jack of all trades, master of none". 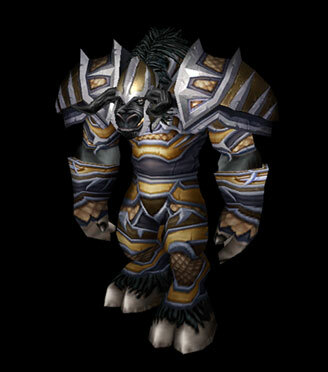 Prior to the release of the Burning Crusade, shamans were only available to the orc, tauren and troll race; the horde equivalent of paladins. 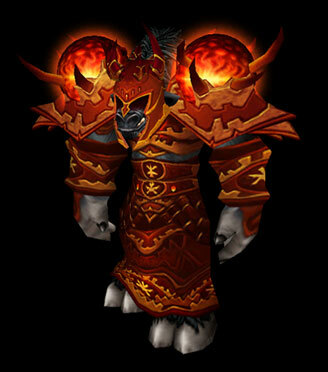 However, as the expansion was released both paladins and shamans were introduced to the horde and alliance respectively. 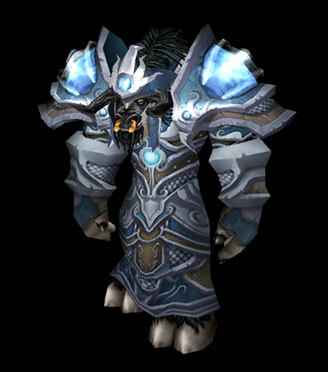 Hence, you can chose between the races Orc, Tauren, Troll and Draenei, would you like to start a shaman. Blizzard claims that the Shaman class is supposed to be a more magic oriented hybrid class. However, a shaman may specialize in any of the following three roles; magic caster, melee damage dealer, or healer, and do this reasonably well. However, due to being limited to cloth, leather and mail armor, they're not an ideal choice for a tank. It should be noted that the advanced end-game raiding guilds often prefer hybrids to be specced and geared towards healing. Can heal themselves and others, and have a spell called Chain Heal, which is probably the best multiple target heal in the game. Can resurrect others, and even themselves if they die. Can interrupt spellcasting and slow enemies with ease. Powerful and heavily customizable party buffs in the form of totems. Tired of healing? Tired of doing damage? As a hybrid, you're only a talent spec away from something entirely different! Quite a number of spells who makes the every day life as a shaman more enjoyable; Underwater breathing, Walking on Water, travel form (Ghost Wolf), a hearthstone spell with only 15-minute cooldown (Astral Recall) and more. Shamans are the most mana inefficient single target healers. No stuns or crowd control. This will be painfully evident in heroic instances and PvP. Most totems have only 5 health points; they can be destroyed in one hit. They also have a pretty short duration, so you will find yourself having to renew them several times during long fights, which may cost a substantial amount of mana. Totems only affect yourself and people in your party. Raid members and other friendly players are not affected. If you die, the totems disappear. No threat reducing abilities. If a monster has gotten it's eyes on you, you're in for a spin. Consequently shamans will not be able to do as much damage as eg. rogues who can either feint or vanish and start over. Most of a Shaman's spells are Nature spells. If you get counterspelled in any way while casting one of those, most of your spells and totems will be locked out for the duration. Go here for an extensive list of the shaman spells and abilities. Talk to the shaman trainer in the starting area, Canaga Earthcaller. 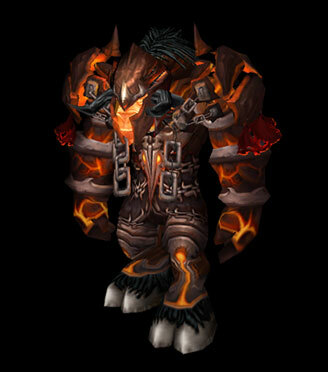 He will send you on a quest to gather Felstalker Hooves. These items can be found on Felstalkers in a cave located in the very north of Valley of Trials. Return these to Canaga, and he will make you a sapta that you will need later. You are now supposed to wander up the hills along a hidden path, starting at the coords (41,73). It starts near the southeastern edge of Valley of Trials and ends high up in the southern mountains. When you find the path, follow it until you reach a big stone monument with a strange symbol carved into it. Open your inventory and right-click the sapta/potion he gave to you, to drink it. You should now see a large Earth Elemental, and a great deal of small ones. Talk to the big elemental to complete the quest. Pick up the new quest, return to the shaman trainer and you will recieve your first totem. 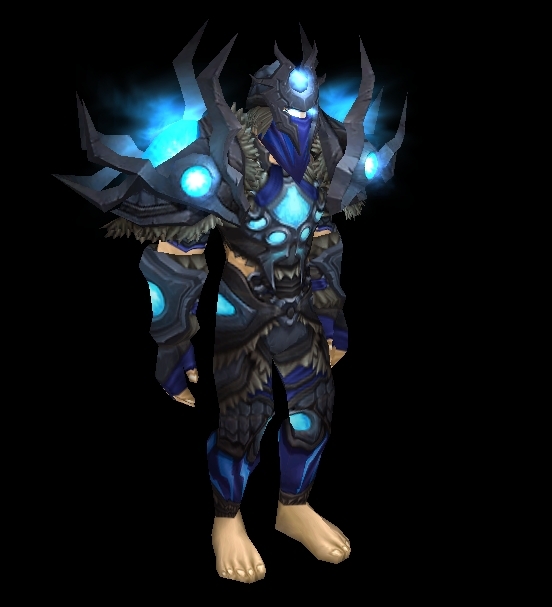 For detailed information about each set, as well as drop locations, check the Shaman Sets section by clicking here. There are a few addons that might be helpful to shamans in the current state of game. One of those is TotemTimers; it's simply an addon that gives you visual timers for all your totems, and helps you keep track of weapon buffs, magic shields and self resurrection. It also helps you to set up an easily used macro for putting out totems from all the 4 schools of magic, by pushing just one button repeatedly. There's a lot of other things included in this addon, it's warmly recommended to try it out. You can find TotemTimers by clicking here (external link). 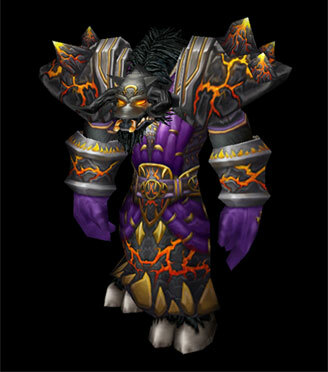 Another one is Totemus, which seemingly tries to imitate Necrosis LdC, not necessarily a bad thing as Necrosis is by far the most popular warlock addon out there. Totemus is basically an addon to help the shaman manage the totems, buffs, potions, consumables and so forth. You can find Totemus by clicking here (external link). "Shamans are spiritual visionaries of tribes and clans. These gifted healers can see into the world of spirits and communicate with creatures invisible to eyes of normal beings. They are beset by visions of the future and use their sight to guide their people through troubled times. Although the shaman may seem wise and serene at first glance, he is a formidable foe; and when angered, his wrath is as fierce as though who have a connection to Eternals or nature. Shamans have been around since the sentient races first discovered the power of nature. On Draenor, now shattered Outland, the Orcs were shamanic; on Azeroth, Trolls and Tauren were shamanic. Though shamanism on Azeroth flourished and still continues to, shamanism was all but extinct by the time of the great crossing of the Horde onto Azeroth via the Dark Portal. The greatest and yet some of the most vilified Orcs were once shaman; Drek'Thar, Ner'zhul, and Gul'dan were all shamans. 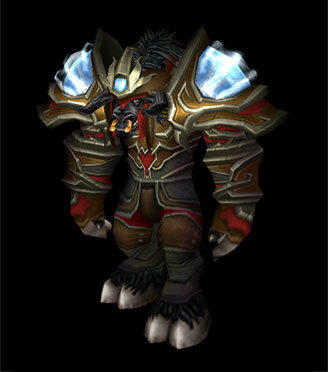 However, Kil'jaeden, current lord over the Burning Legion, distorted the shaman's connection with their spirits in the sacred mountain of Oshu'gun, himself taking on the form of the shaman's ancestors to convince the shaman (who held much political sway in the orcish culture) that the Draenei were the enemy. The ensuing massacres upon several Draenei hunting parties offended the spirits, who eventually denied the shaman their powers. More about Shaman Lore can be found here. You need 25 agility for 1% crit. You need 25 agility for 1% dodge. You need 80 intellect for 1% spellcrit. You need 12.6 spell hit rating for 1% spell hit. You need 22.1 spell crit rating for 1% spell crit. Windfury Weapon : Each hit has a 20% chance of dealing damage equal to 2 extra attacks with 445 extra attack power. 623 extra attack power if you invested 3 points in the "Elemental Weapons" talent, in the enhancement tree. Windfury Weapon have a 3 second cooldown once it has procced, this cooldown is shared for mainhand and offhand. You want to use very slow weapons in both mainhand and offhand, to get as much out of Windfury (and Stormstrike) as possible. Typically, every time Windfury is not on cooldown, you want the mainhand to proc, and if your mainhand doesn't proc at that time, you want your offhand to do so. If you have a 2.6 speed Mainhand weapon, and a 1.5 speed offhand, you'll completely lock out the mainhand if your offhand procs (in the worst case scenario) - reason for this is the three second cooldown, your offhand having 1.5 speed will be the first to hit every time the cooldown is not up. It's illustrated in a picture borrowed from the Elitist Jerks' forums (link). You will want to get as slow weapons as possible, and the same speed in both hands - a slow blue offhand is generally better than a fast epic one. If you have a warrior in your group, you want to use Windfury Totem. It doesn't matter if they're DPS or tanking, as DPS they'll gain an insane DPS boost, if you have a tanking warrior - they'll be able to dish out a lot more threat. If you have more than one rogue in your group using Swords, use Windfury Totem. If you have no warrior and less than 2 sword rogues in your group, use Grace of Air. 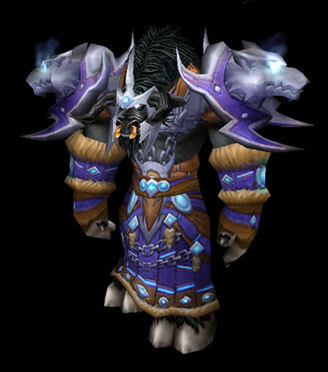 Then of course there are situations where you might have a bear MT, or a fight where threat is no problem for the tank (like fights where the tank gets lots of spikes and takes very high damage), or where your group consists of mostly druids and hunters, then you want to keep Grace of Air out. As a rule of thumb, Mongoose is better than Crusader. Crusader is better than Potency. But it's also a matter of personal preference. If you're already very high on crit, you might not want to use Mongoose. If you're very low on AP, you might want to use Crusader or Potency. If you don't like enchants that proc, you might want to use Potency, too. +81 healing or Spellsurge would be your best bet for PvE. Same goes for PvP. Spellsurge has a 15% chance to proc and has a 50 second cooldown, and equals ~9mp5. It shines the most if your entire group have it (you'd end up with about 45mp5 then). I personally prefer the healing enchant, but some people favors Spellsurge. Pick the one you like the most. If you're into that kind of thing and have some spare change, you can enchant one of each on two weapons, and swap weapons after Spellsurge procced (as it has a 50 sec cooldown).